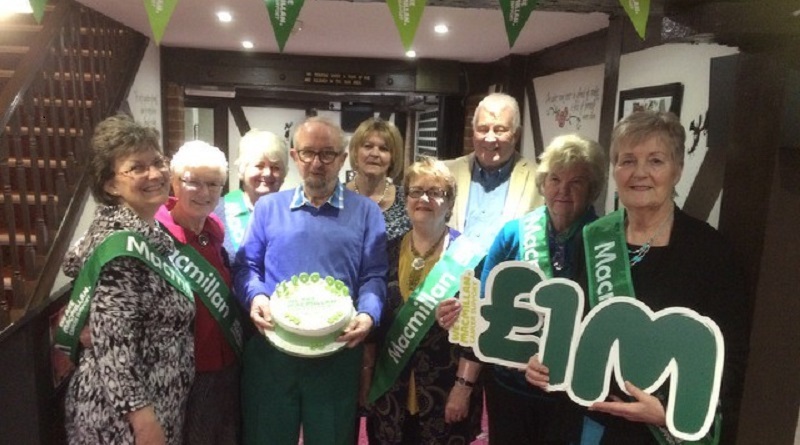 Local fundraisers have raised a staggering £1 million for Macmillan Cancer Support! 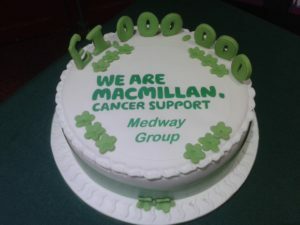 Medway Committee are celebrating raising £1 million for Macmillan Cancer Support since they started fundraising in 1960. 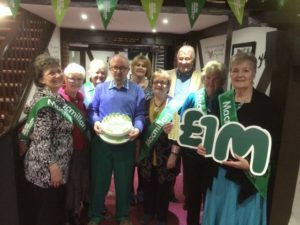 At The Oast House Theatre, Gillingham, the Medway Macmillan Cancer Support Committee met to celebrate their achievement. Deputy Mayor Steve Iles and his wife were guests of honour at the event which was also attended by members of Macmillan Cancer Support who gave speeches of thanks and an official certificate for the Committee to keep. The Medway Committee originated through the amalgamation of the Strood and Gillingham Committees. Since 1960 they have gone from strength to strength raising money through numerous events including fashion shows, coffee mornings, sponsored swims, dances, quizzes and bowls club events plus fundraising through initiatives such as jam making, book sales and gaining support from the local theatre (‘RATS’), the local Rotary and Lions Clubs. A cake was cut, good food and wine enjoyed and a glass raised to all those who had helped the Committee reach this amazing milestone. You could help them raise their next £1 million! If you would like to become a volunteer member of the innovative and positive Medway Committee contact Emma Heley on Tel: 07974 530770.